So far you’ve seen the opinions of both a few Christian and a few non-Christian researchers, and you can take or leave their opinions as you will. But now we’re going to look at the actual messages of these “alien” entities, from what contactees and abductees themselves say the aliens are telling them, and let’s see what you think. I want to preface by saying that there have been historical changes in the aliens’ points of origin. In the 1950s, the entities typically told the contactees of the day that they were from Mars and Venus. But we’ve since sent probes and satellites there and found that these planets are hostile to supporting life – at least the humanoid type of life they were claiming to be. So 50 years later, the entities now claim they originate from far more distant places in other star systems, like Zeta Reticuli which is 39 light years away, or even in other galaxies like Andromeda, which is 2.5 million light years away. Now, their story has now changed to these far away places, in which we once again can’t verify their claims. This fact alone already lends itself to believing there’s deception involved in this phenomenon. Dr. Sagan here raises a very astute question – and the more researchers and authors out there study the reports of alien abductions and encounters, the more this question comes up – and the argument for an affirmative answer becomes clear. 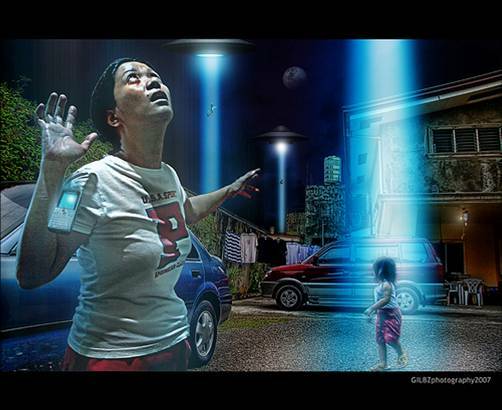 So keep this question in mind, Are “extraterrestrials” intentionally evangelizing people to an alternate spirituality? 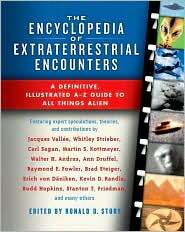 As an introduction, secular researcher Thomas Bullard points out in the Encyclopedia of Extraterrestrial Encounters that there is a definitive common pattern to the classic abduction scenarios. 6. Theophany. The witness meets a divine being or has a religious experience. 1. UFO contactees have been chosen; no UFO contact is accidental. 4. UFO experiences include paraphysical, parapsychological, and spiritual manifestations which are designed to influence the “world view” of contactees. 8. 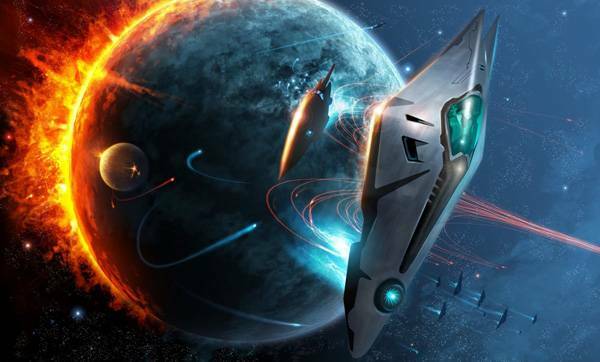 Contactees are programmed for a variety of “future” activities, including awareness of their own contacts and desire to share their messages and knowledge with other contactees. 9. The lives of contactees move in the direction of greater self-awareness greater concern for the welfare of planet Earth, and a greater sense of Cosmic Citizenship with other beings in the universe. You get that, Book of Revelation buffs? Expert, secular, PhD opinion… is that aliens are prepping people to accept the merging of politics, religion and money into a New Age system! 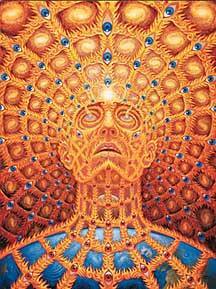 I.E., “Alien” encounters lead experiencers to the conclusion that God is not a personified deity, but a cosmic consciousness, and that some “grey aliens” are good angels. 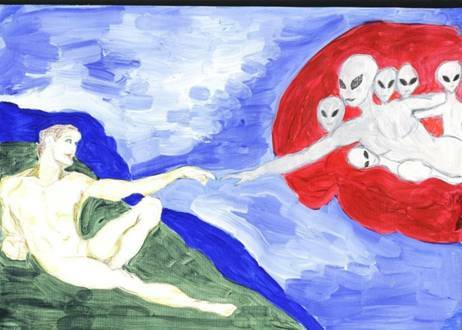 Another contactee reports that an alien told her that Adam & Eve were created here as an experiment ……and that “Aliens genetically changed the DNA of a distant cousin to the ape on this planet” and “sped up” our evolution. This is but one example of many, of aliens injecting themselves into the Bible as creating Adam and Eve, and confirming the Theory of evolution, or guided evolution – guided by them. This isn’t their only attempt of re-telling the Bible. What you may find the most disturbing is the variety of things aliens say about Jesus. 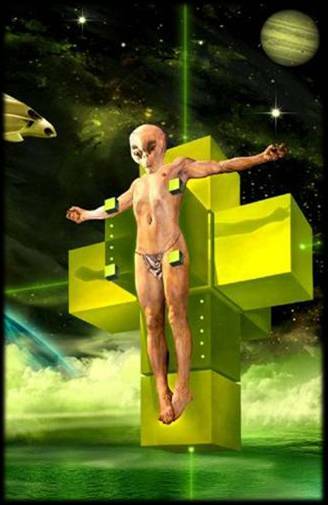 Alien messages include claims that Jesus Christ is an alien, or alien hybrid, with a soul reincarnated into many different bodies on many alien worlds. “Whenever a planet has problems like Earth is experiencing now, a special person is born on the planet to help. 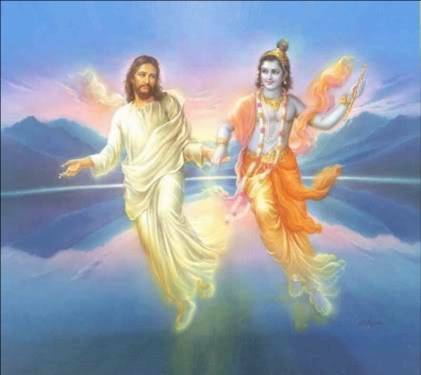 Even my home planet Surak had problems way back in its past, and the Son of God was the person who was called on to help. He has also been born on other planets. 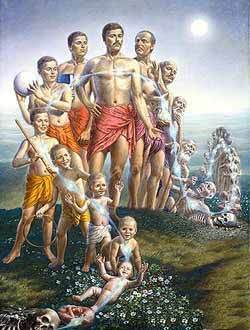 It is always the same soul that is born; however, it is not quite the same because there were different mothers. Now, only people who know the Bible would catch most of these lies, or half-truths. The New Jerusalem will not orbit the planet, but will be the city (not a ship) on Earth, that Jesus Christ will reign from. “… the creators (alien scientists aka Eloha / Elohim) therefore arranged for a child to be born of a woman of the Earth and one of their own people (aliens). The child in question (Jesus Christ) would thereby inherit certain telepathic faculties which humans lack… Mary was the woman chosen … One of the creators (aliens) appeared to explain that Mary would bring forth a son of “God”. This is a modern day false prophet, but his experiences, I believe, really happened to him. It was the “aliens” that told him to write this book, and start this new religion, which today claims to have 55,000 members across the planet. It is interesting how often contact with aliens results in instructions to the abductee or contactee to start a new religion. They harp on how and why Christianity is wrong all the time though. Going back to the 1950’s contactee George Van Tassel had “aliens” telling him things similar to the modern claims of the Rael, and contactee Bonnie Meyer whom we’ve been reading from already. I lived in Roswell, NM for 11 years as a missionary, to present orthodox biblical views to those who go there with belief systems similar to what I’ve been describing. Now, I “used to believe” that my target audience, so to speak, was a very tiny niche group of people, limited mainly just to those who were having direct contact with ET’s, or who were joining UFO Cults. However, I’ve had so many conversations with what you’d otherwise call “normal” people over the years, and I’ve been surprised and nearly sickened to find out how many people in the mainstream are beginning to think about the Bible in the exact same ways that I’ve been quoting you today – but WITHOUT joining a cult, or having contact experiences. Note the opening 2 minutes of a program that debuted in 2002, and still airs several times per year on the History Channel. “The Bible, a sacred text filled with fantastic tales of an awesome supernatural force, but what if that force wasn’t God? What if it was a UFO? In Ezekiel, what was that gleaming wheel within a wheel that descended on the prophet? 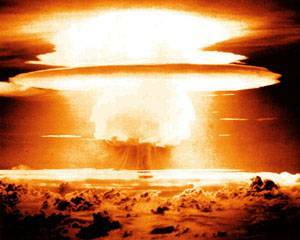 In the Sodom and Gomorrah of Genesis where did the devastating fire and brimstone come from? In Exodus what was that presence in the sky that led Moses through the desert? Were these the actions of God? Or might these mysterious forces in the sky have been UFOs in the Bible? The minister in the video wearing the white collar, Barry Downing, is teaching almost the exact same things that the alien contactees I’ve quoted are teaching, and almost the exact same things about UFOs in the Bible that the Raelian religion teaches. My point is that it’s no longer direct contact with aliens, or participation in cult groups that leads people to embrace these ideas. It’s mass media, it’s Hollywood, and it’s even begun to creep into portions of the Christian church. It’s a strong delusion, and these entities have found ambassadors that are all to willing to carry their message. 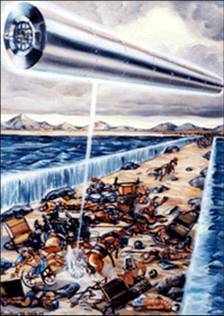 Today, what you’ll find most prevalent in much of the alien contact literature since the fifties, and now all over the web, is the claim that when you read the Bible, what you’re really reading about is primitive man’s interpretation of UFO technology. Claims that the fire by day, cloud by night that Moses and the Israelites followed was really a UFO. 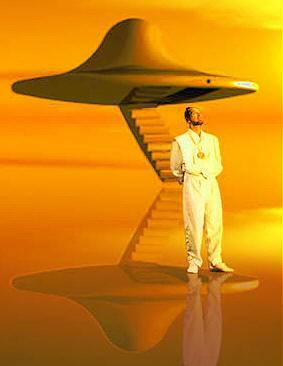 Claims that Elijah was taken up in a UFO, like this mockumentary said. Claims that Jesus didn’t so much “ascend into heaven” after His resurrection, but rather that He was just beamed back up to the mother ship from which He came. 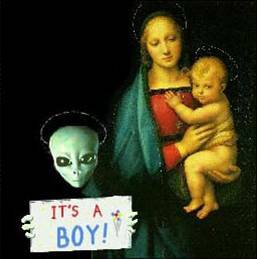 And right along with this, the deceptive twist now being touted is that The Immaculate Conception and virgin birth of Jesus Christ are explainable by alien abduction and artificial insemination, resulting in an advanced teacher to mankind – who was either half-alien or all-alien. That’s who Jesus Christ is according to scripture – the world was made by Him. Alien messages always undermine the singular most important tenet of Christianity, that Jesus Christ is God Himself Incarnate as man, or God in the flesh. So the essence of the struggle here is trying to reconcile the reality of alien encounters (generally speaking and the few fruitcakes and attention seekers aside, we believe that people genuinely are having these encounters), but we have to compare what is being told to people by the entities to what the Bible very clearly teaches. 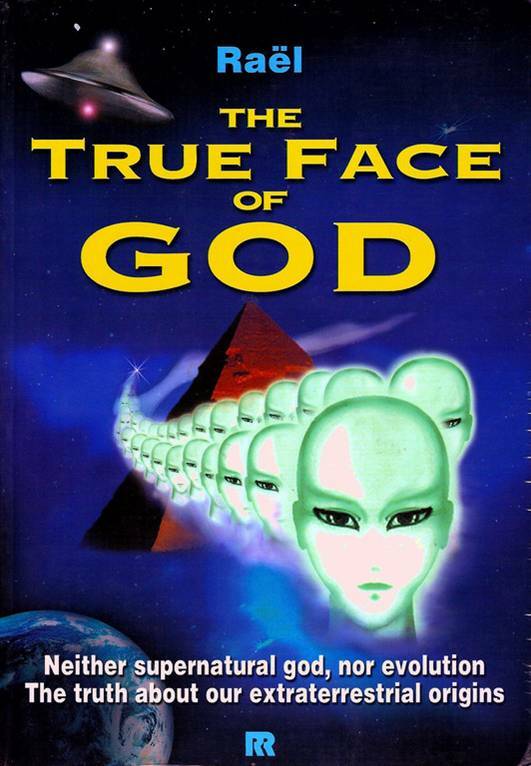 And the now extremely well-documented messages of beings claiming to be aliens repeatedly attack this doctrine, and claim that Jesus is not really God Incarnate, but is simply an advanced alien or half breed. The common questions that Christians arrive at when they examine the documented teaching of aliens, are quite logically along the lines of, “Why would authentic extraterrestrial biological entities travel 90 billion light years just to attack one specific religion? Why do they make such a concentrated effort to convince people that Jesus Christ is not true Deity, or God Incarnate? Given their powers and abilities, the Christian truly is left with no choice but to identify these creatures as deceiving spirits. Which is exactly what the Bible tells us to expect in the Last Days. Putting this all too succinctly, many Christian researchers feel that the UFO phenomenon is a lying sign and wonder, and a powerful delusion, which will be embraced by those who refuse to believe the gospel. 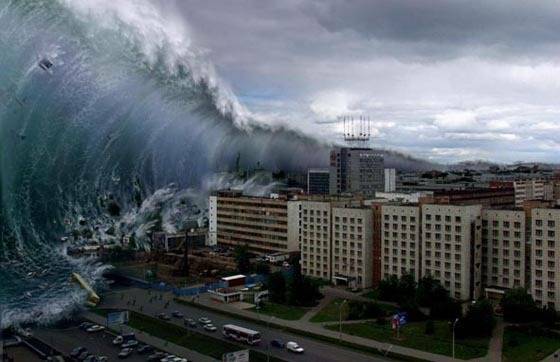 SOME powerful delusion, having global impact, with signs and wonders is exactly what Christians were warned 2,000 years ago to anticipate, as part of the final rise of the antichrist. Since 1947 – the year of the Roswell Incident, AND when the nation of Israel stepped back onto the worldstage… since 1947, the UFO phenomenon, you might say, has jumped to the forefront of being the leading contender to fit this bill. So … what exactly do the aliens tell abductees about the end times? The book Abduction by Dr John Mack represents a decade-long study of over 300 men and women who claimed alien abduction. Dr Mack is a Pulitzer Prize winning author, who, up until as his death, served as the Head of the Psychiatry Department at Harvard University School of Medicine. He also co-chaired a conference at M.I.T. that concluded that abductees weren’t crazy, or lying, but that most abductees showed symptoms of Post-Traumatic Stress Disorder, proving that something had indeed happened to them. “You have a sensitivity, Ed. You pick up on things. You can talk to the earth. The earth talks to you…The female being, whose name he now recalled as something like “Ohgeeka” or “Ageeka,” picked up on these qualities and underscored the responsibility Ed has for his gifts and powers. “Listen to the earth. Listen to the earth, Ed. You can hear the earth. You can hear the anguish of the spirits. You can hear the wailing cries of the imbalances. It will save you. 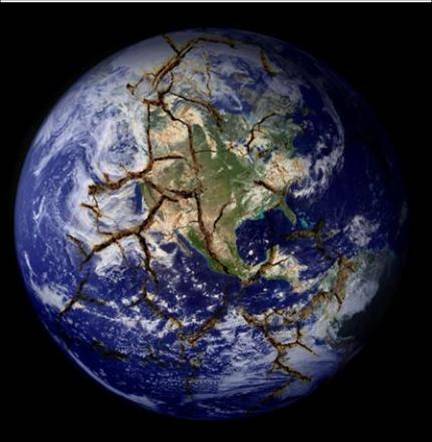 It will save you… Things are going to happen,” she said, but he must “listen to the spirits”…The earth itself, the being told him, is enraged at our stupidity, and “the earth’s skin is going to swat some bugs off” that do not know how “to work in symbiotic harmony” with it…. But the Bible says clearly, that it is only Jesus who saves, and that whoever shall call upon the name of the Lord will be saved! 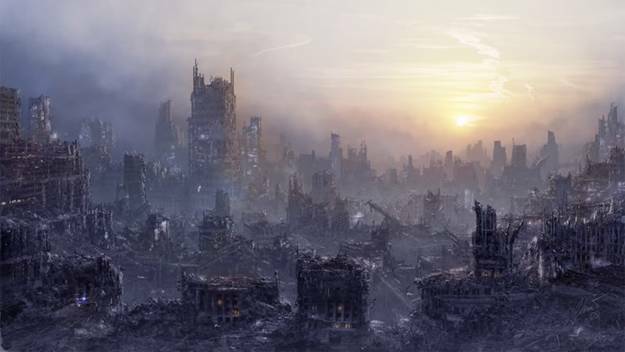 Of course we know that The Bible says a great deal about the End of the Age, and the disasters that will come on the earth before Jesus Christ’s return – specifically in Matthew 24 and the Book of Revelation … just for starters. I just want to point out to you the documented fact that aliens’ messages routinely contradict the biblical messages of destruction and recreation of a New Heaven and a New Earth by God, and Jesus’ promise to save His followers from this judgment. Aliens routinely promise that THEY will deliver their believers from the disasters foretold in the End Times, in a variety of ways – including but not limited to cloning, reincarnation, or by lifting those who follow the aliens off the planet just in the nick of time. So I’ve shared with you the documented messages of extra-terrestrials, so that you could compare them to the Bible and begin to make an educated decision on whether you believe they are genuine Eextraterrestrials or – as the non-Christian Jacques Vallee wrote in his book title – are they “Messengers of Deception”? And I’ll add, “Do these experiences tend to have an impact on people?” Yes. The aliens’ messages are “concerned primarily” with indoctrinating us to misunderstand, dismiss, and ignore what The Bible actually says about Jesus Christ, The Bible, God, and especially about the Last Days, and to trust in them. To sort of sum it up, let me submit to you the conclusions of some other well-known Christian authors who have studied this same material. Don’t be fooled – experiences with these entities, or a heavy belief in this phenomenon, is indeed going to require a choice on your part. Either the aliens are right and they’re telling people the truth, which means that everything the Christian church teaches about God and the Bible is a lie… or… the Bible is right, God is true, and the aliens are lying. Continue to Part 7: What Does The Bible Say About Life on Other Planets?